I love writing this blog, but there aren't a lot of perks to the job. 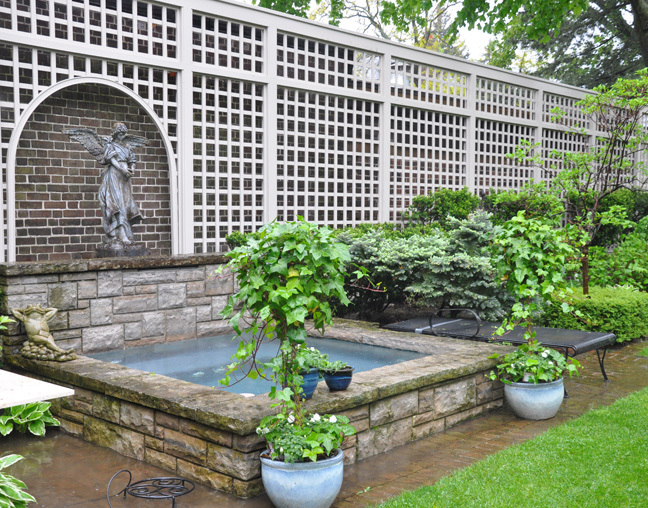 Perhaps that is why I look forward to the annual media preview for this garden tour. 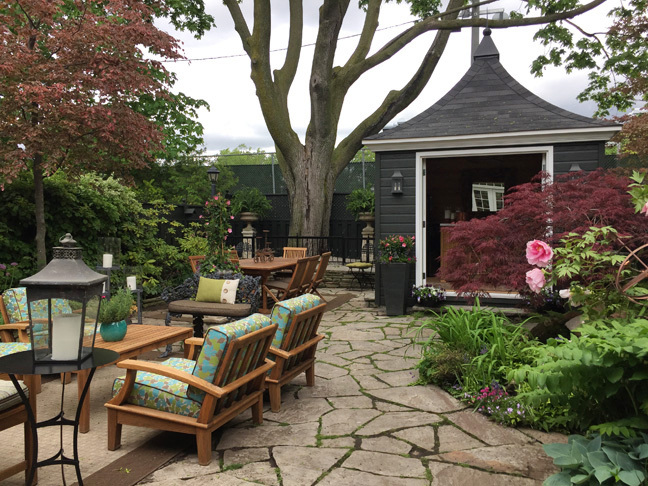 Members of the local mixed media are chauffeured around Toronto in the plush comfort of a luxury, air conditioned bus for a preview of a few of the best gardens on this year's tour. On the way, we enjoy fresh sandwiches and drinks. Then, in the middle of the afternoon, when it usually gets hot, there are cool icy treats with exotic flavours like kiwi & cucumber. 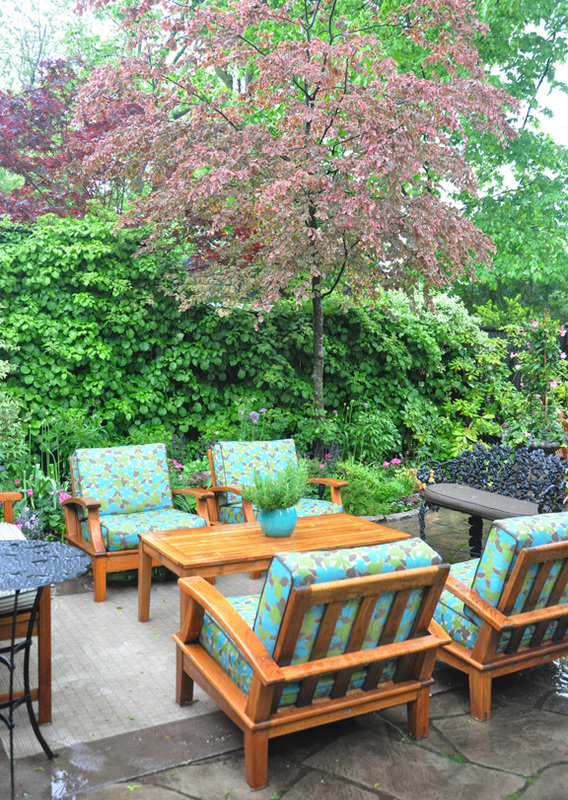 At the end of the day, you feel exhausted, but pampered and inspired by all the amazing gardens you've seen. This year is the thirtieth anniversary for Through the Garden Gate. 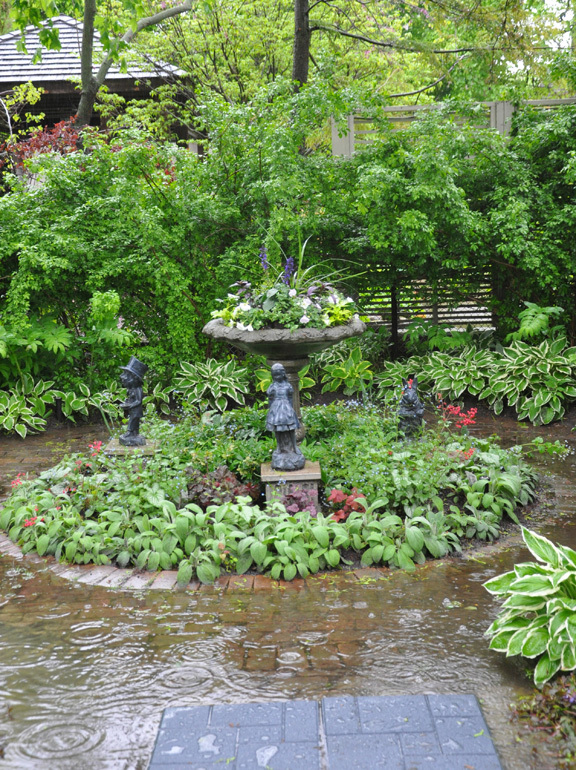 To mark the occasion there will be thirty gardens on this year's tour (If you are doing the math that is fifteen gardens for each day of the two-day-long tour– which is a lot of ground to cover. Thank goodness the gardens are located fairly close together and there are shuttle buses to cover longer distances). Every year, Through the Garden Gate explores a different Toronto neighbourhood. On the occasion of this significant milestone, the tour returns to one of the most popular locations: North Rosedale and Moore Park. 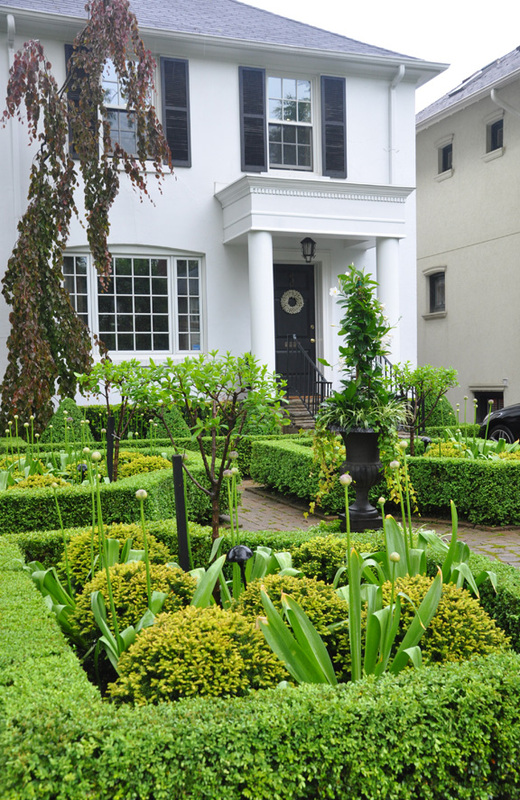 There is always a great curiosity in seeing the gardens of some of the city's finest homes. And from what I have seen on this year's media preview, good taste and a team of professionals adds up to create some amazing gardens. As I said, I look forward to this annual event. You can imagine my disappointment to find that, on the day of the preview it was not only raining, it was pouring! I thought that I dressed for the weather, but even with my umbrella, I was soaked through before we had made it through the first few gardens. Imagine trying to focus a camera while juggling an umbrella. If my pictures are a bit blurry, you'll know why. 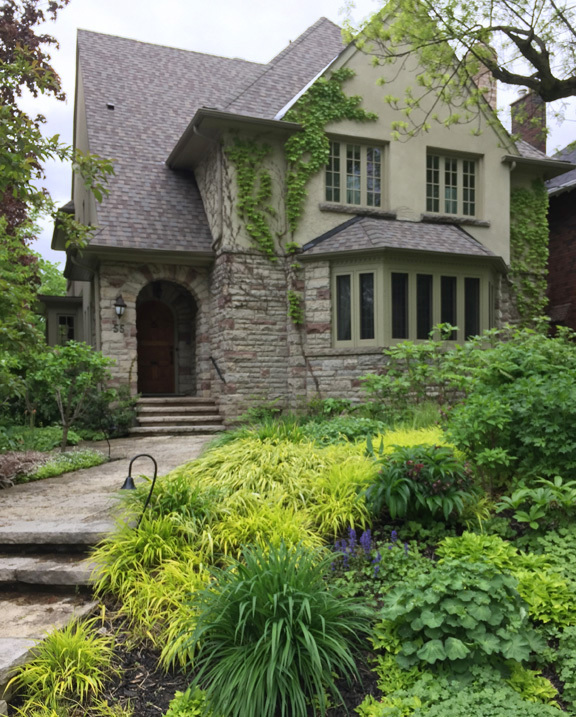 "It's an Edwardian house," says the homeowner," and we've tried to reflect that in the garden. You see it in the wire planters; the Alice in Wonderland figures in the round garden behind the garage, the gazebo made from an early elevator cage, which we found in architectural salvage; and some of the old-fashioned plants – peonies, daisies, delphiniums, columbines, roses, lavender, iris, violets, ivy topiaries. 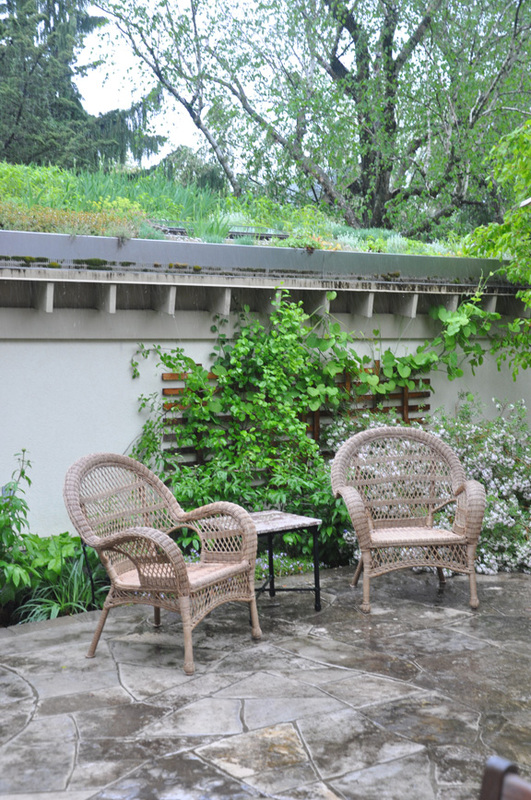 We hope the plantings evoke the period of the house." 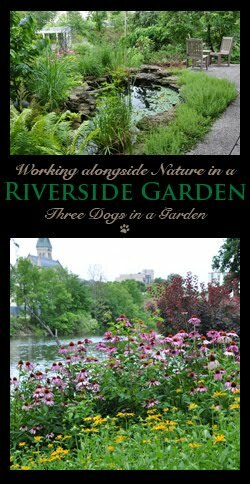 "Most of the garden is in partial shade, so you'll find various shade-loving plants. 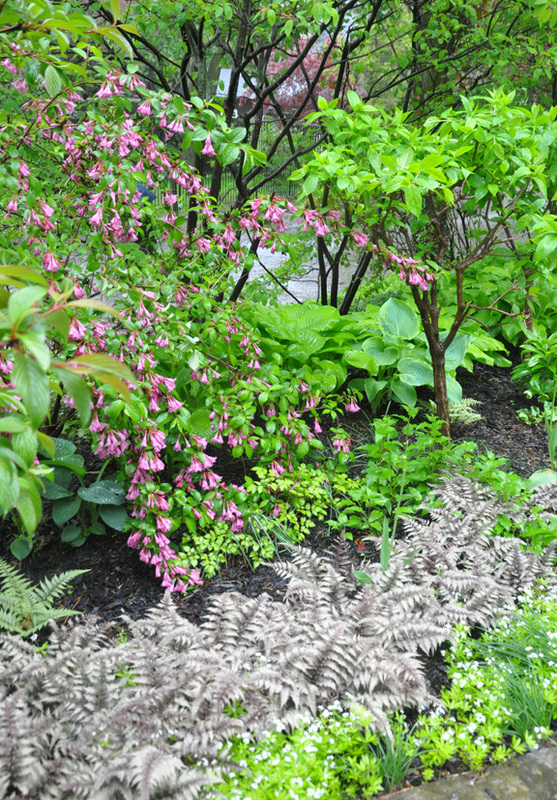 Marjorie Harris (well-known Canadian gardening writer) thinks we have far too many hostas, and she's probably right, but they come in such variety and are so easy to grow, one has to love them...We try to keep the colours to green, white and blue, but you'll find the occasional pink and mauve, and we've planted forsythia for colour in spring." That's the old elevator cage the homeowner spoke of in the middle foreground. 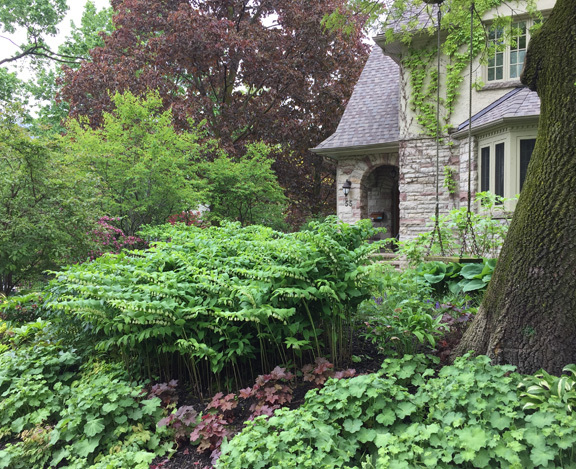 Too many hostas or not, I think this garden is stunning. There was only one problem with walking around to take photographs. 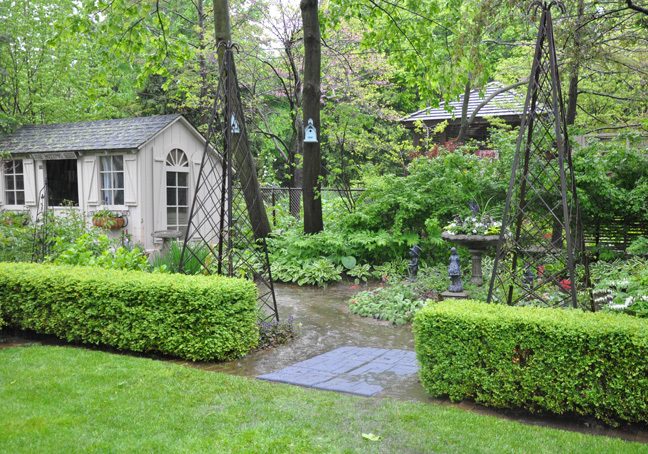 With all the rain, the gorgeous green lawn was saturated in water. Stepping onto the grass was like walking on a wet sponge! And of course I wore completely inappropriate footwear! I managed to venture as far as the gazebo when cold, wet feet prevented me from exploring further. 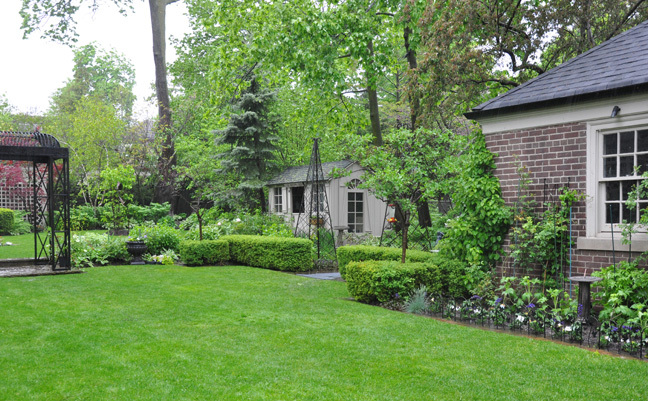 The lines of the garden are straight giving it a pleasing formality. 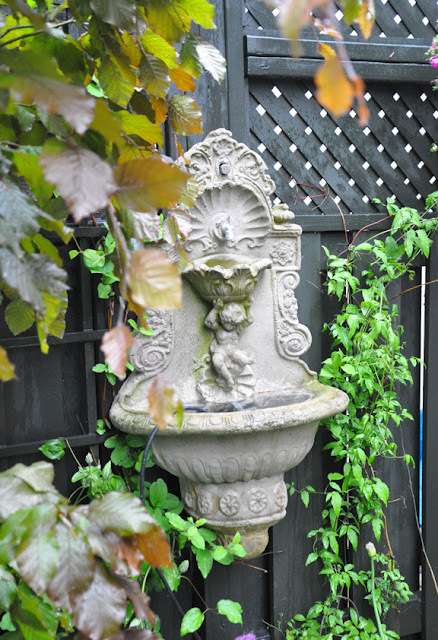 I do hope to return to see this charming part of the garden when it isn't under several inches of water. 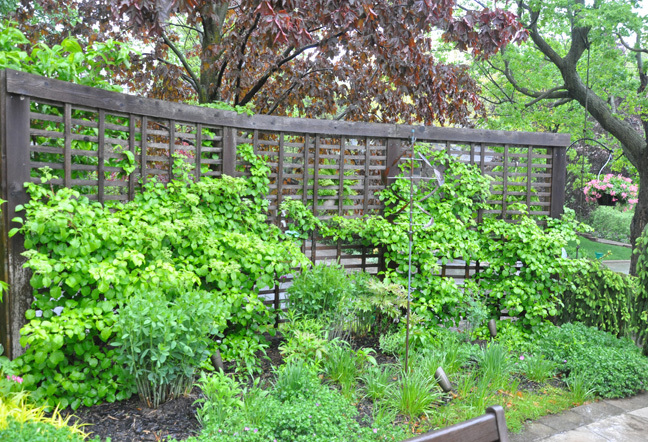 The next property was a shade garden on a corner lot. The rain was pouring down and despite all the defensive maneuvers with my umbrella, my camera lens was foggy and wet. 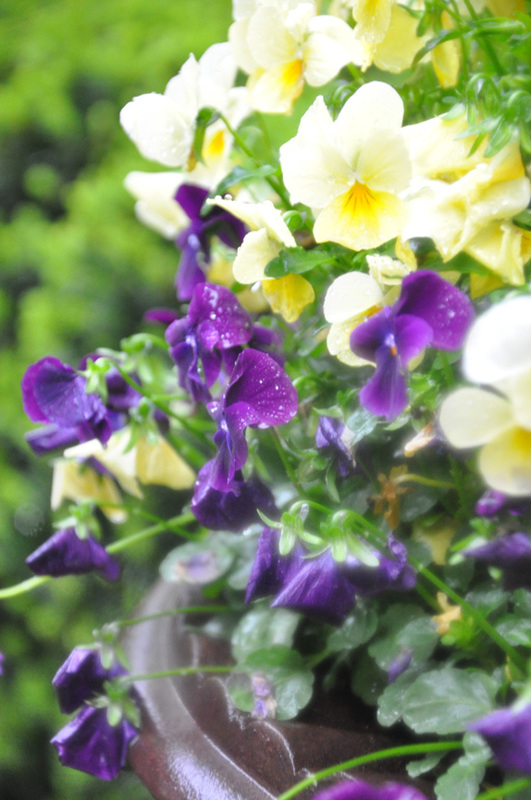 My overall shots of the garden were so blurry I am relying on a couple of images the Botanical Gardens provided. 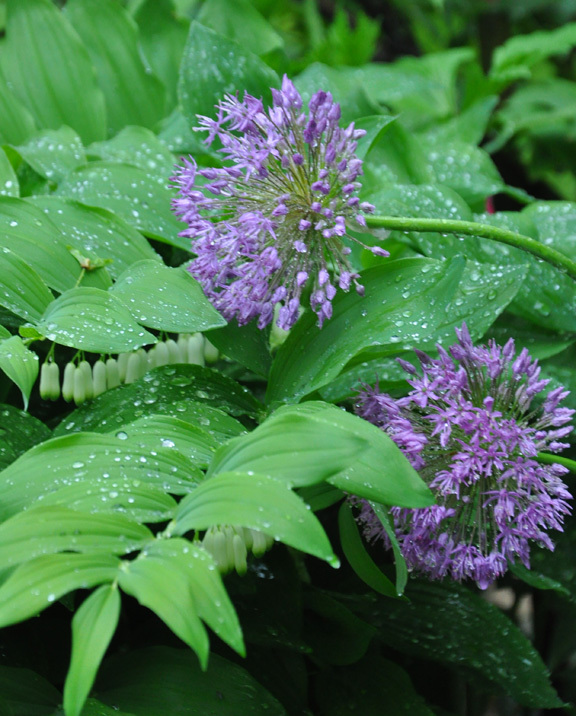 Thanks to the Toronto Botanical Gardens for the two images above. The shade plantings in this garden were very creative. Often I see Japanese Painted Ferns on clearance at garden centres. I don't think people know what to do with them. Here they look very striking massed with Sweet Woodruff in the foreground. Japanese Forest Grass, Hakonechloa macra in the foreground. Because this was a house on a corner lot, the landscape designer had to deal with issues of privacy. 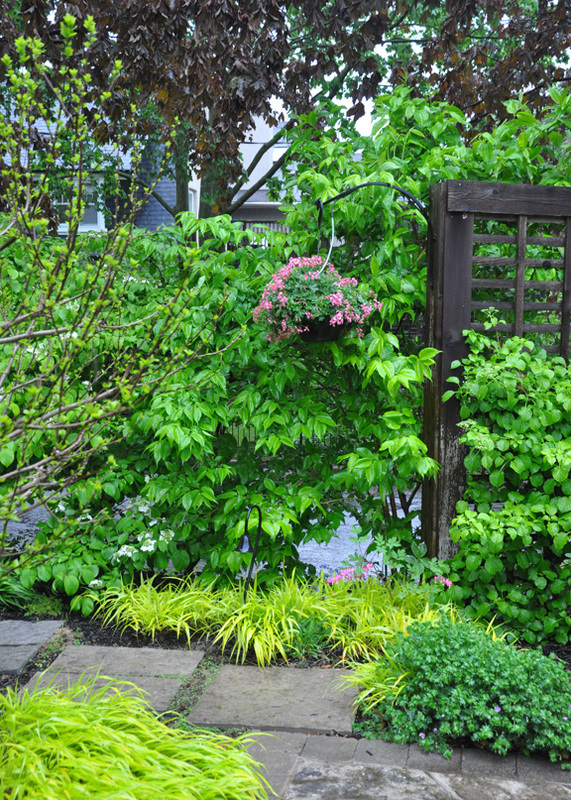 Rather than building a fence, he opted to plant shrubs along the side of the house. In the backyard, a large screen was installed (below). The combination of the screen and hydrangea vine give the outdoor dining table, and the adjacent seating area, that much needed privacy. 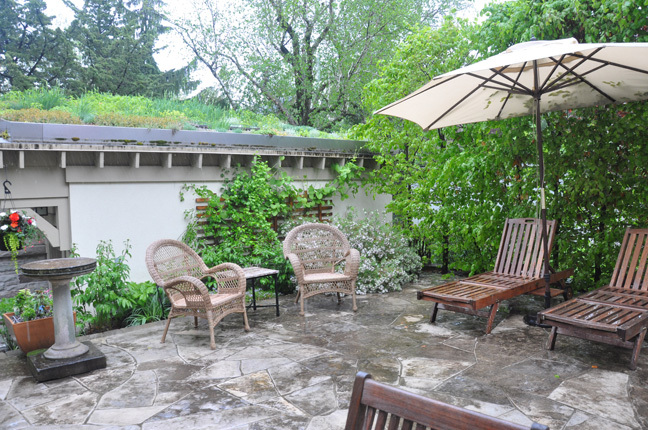 To make the garage, which is located at the very back of the property, less obtrusive and more interesting, a green roof was installed. The day's final destination had a formal front garden that suited the house perfectly. 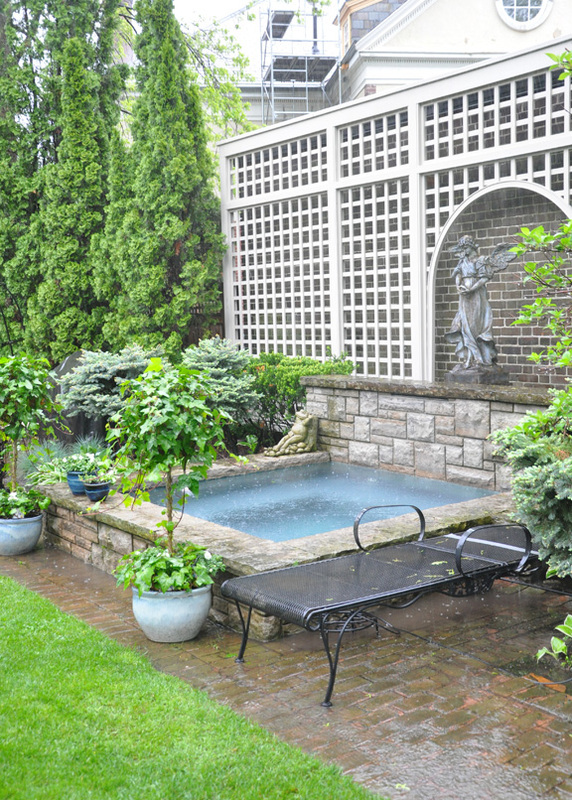 The garden is divided into four quadrants defined by clipped boxwood hedges. 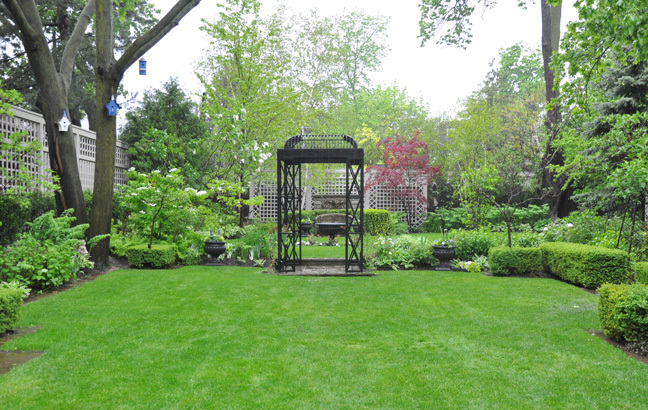 Inside each quadrant are ball-shaped yews and a single standard hydrangea. It's too bad the purple alliums weren't open in time for this picture. The backyard was a tiny jewel. 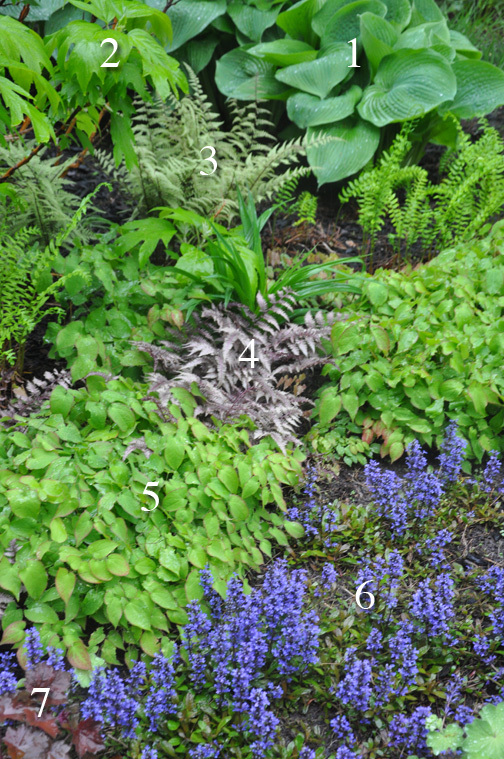 Again, I am going to have to rely on some images that the Toronto Botanical Garden provided to give you an overall sense of the garden. This is n outdoor made for entertaining with a large dining table and a garden house with lovely arched windows and a peaked roof. 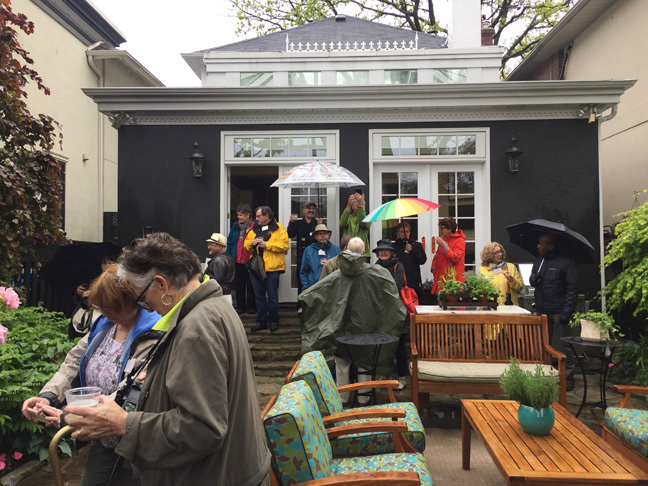 Here we all are – members of the media cowering under our umbrellas. 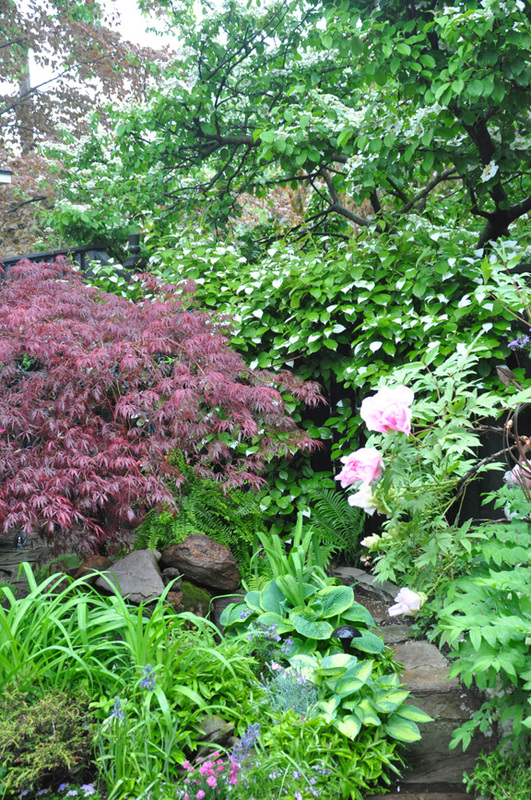 Deep waters prevented me from getting closer, but under the Japanese Maple there is a small waterfall and pond. 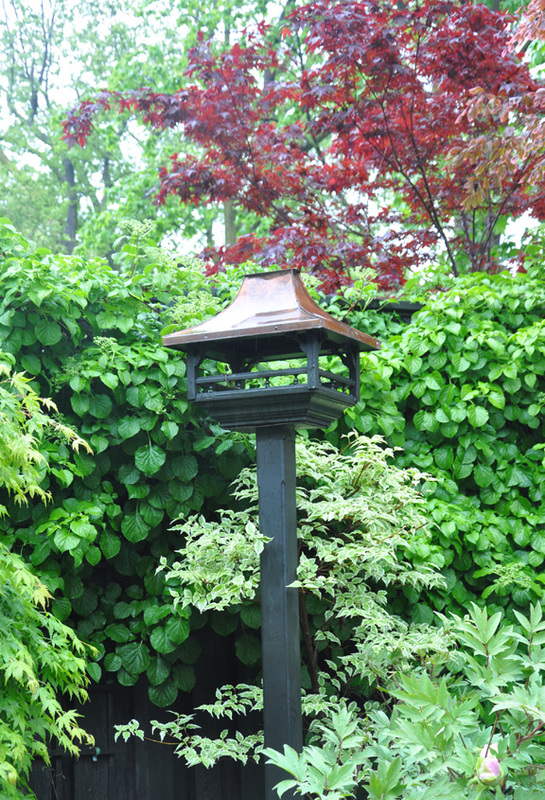 Bird feeder with a copper roof. 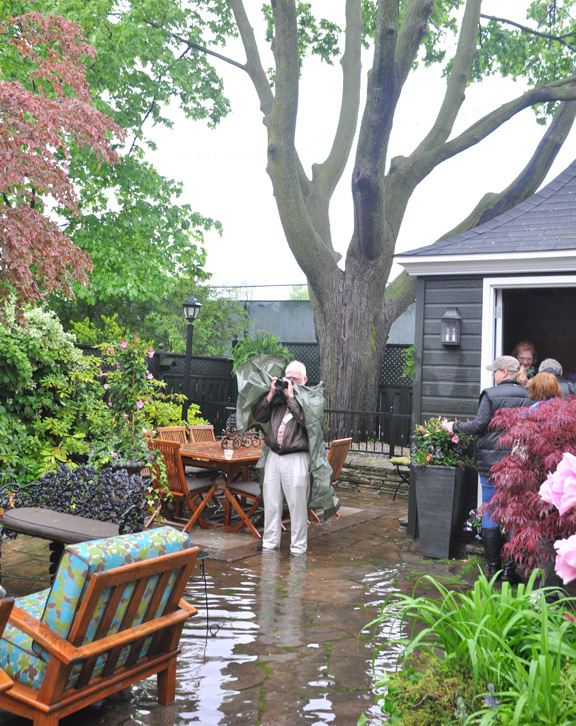 That's the intrepid Ken Brown, garden writer and national director for the Garden Writers Association, braving the several inches of water to get a picture of the garden. Myself, I was not nearly so daring! The kind homeowner had homemade sushi, cheese trays and glasses of bubbly Prosecco waiting for us in the shelter of the garden house. 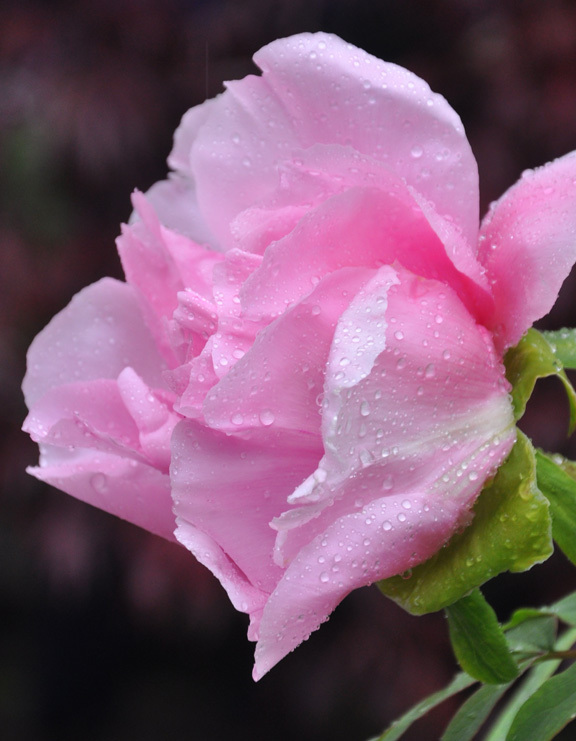 This pink tree peony was just gorgeous (Read more about growing tree peonies here). I arrived home cold and soaked through. Two days later and my shoes still haven't completely have dried out. Even though it wasn't quite the day I had hoped for, I wouldn't have missed it for the world! Through the Garden Gate Tour here. Oh Jennifer! What a miserable day to be seeing such beautiful gardens. I loved the pictures you were able to take. I remember touring gardens in Charleston, SC on a day like that and it was so frustrating. 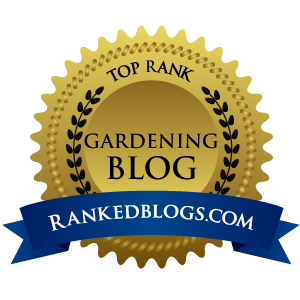 This is my favorite blog! 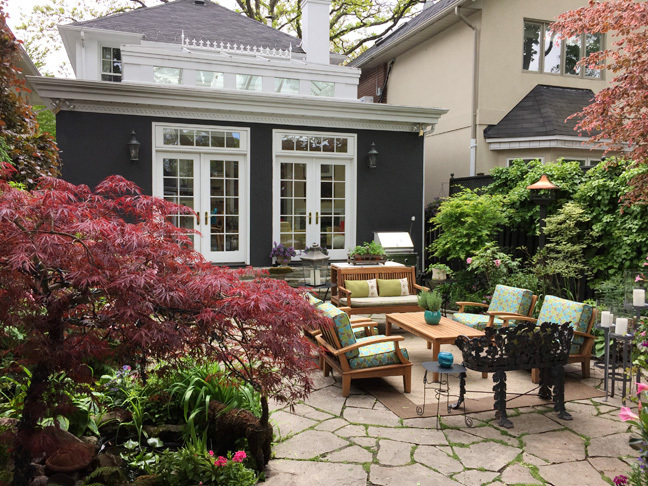 The attention to detail in all three gardens is apparent ..... plants that reflect the style of the home, appropriately placed pots and urns, adhering to a color scheme, to the copper roof on the bird feeder. I also noticed restraint in garden ornaments allow the plants to shine. 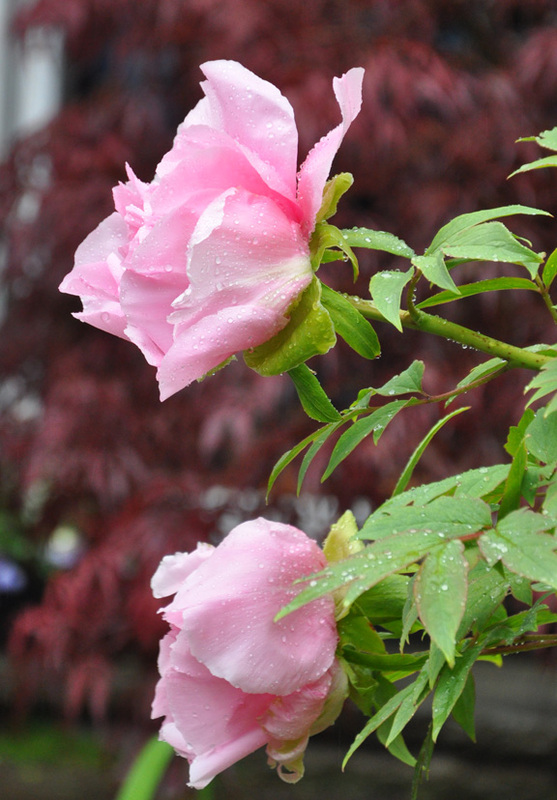 Beautiful, even in the rain! Too true Annie! 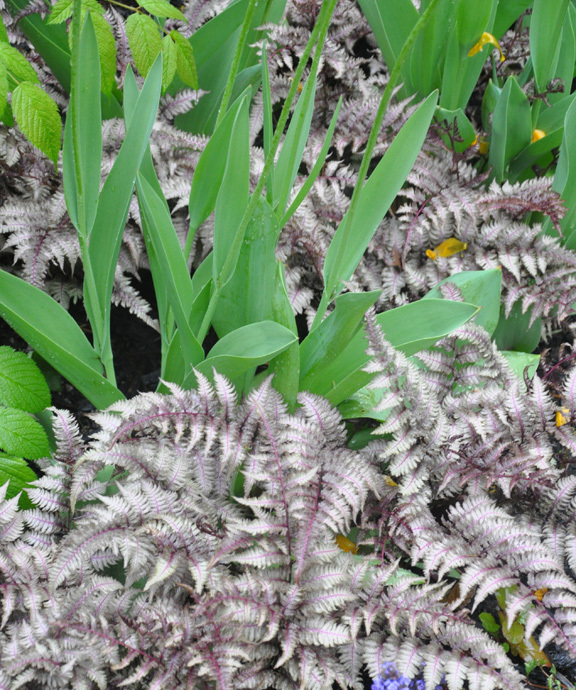 The plants should be the thing that really stands out in any good garden! Thank you so much for braving the weather to bring us these beautiful gardens! I hope they fed you with hearty sandwiches and warm beverages! I love all the massed foliage plantings. 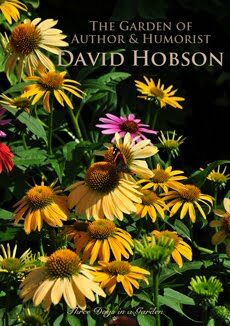 Flowers are lovely, and I crave their color, but I think the foundation of foliage variety in shape and tones of green is what really makes a garden interesting. The attention paid to that foundation in all three of these shows is a big part of what makes then so attractive. 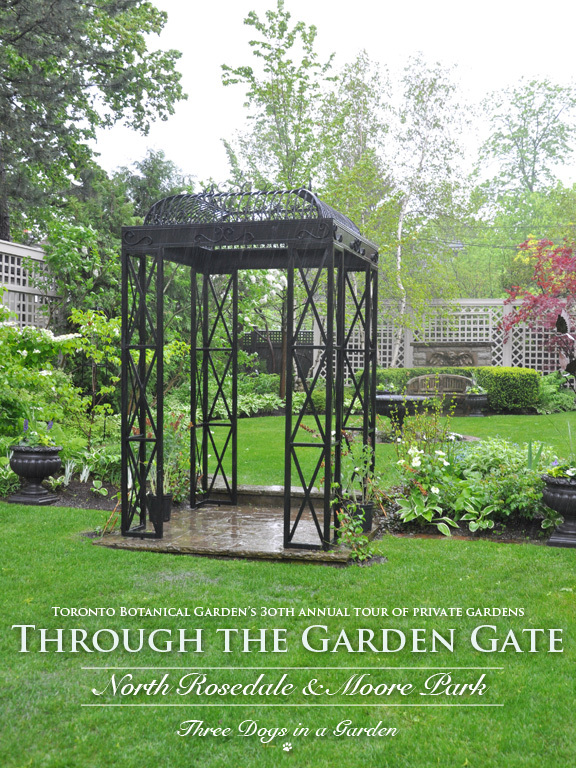 That is an impressive tour the Toronto Botanical puts on. So many gardens too! We have one here each Mother's Day weekend put on by the Atlanta Botanical Gardens but I haven't been able to make it work with out other activities that fall on that weekend. Gosh, you did get an enormous amount of rain. It's so difficult to photograph in those conditions. Bravo to you for hanging in there! This tour sounds wonderful, Jennifer. I am sorry it rained so hard. It has been raining an awful lot here in NY, and there does not seem to be an end in sight very soon. It has also been unseasonably cool. You got some wonderful photographs though. 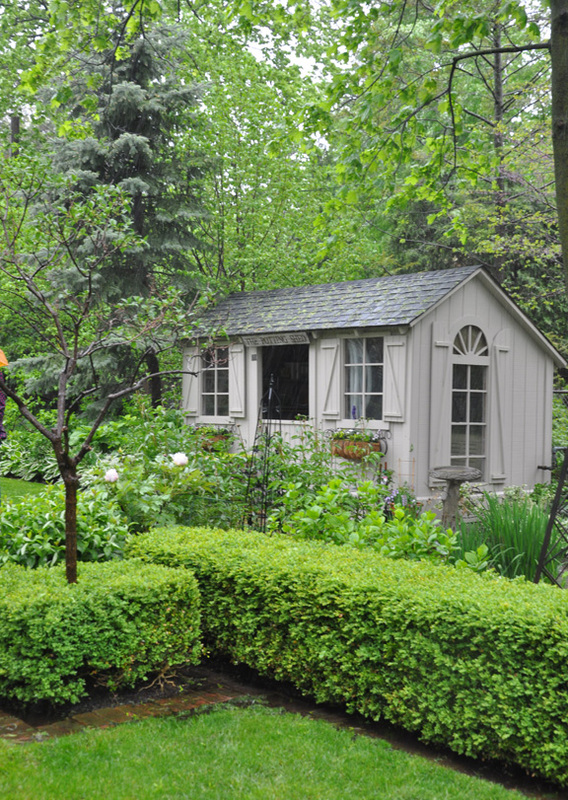 I especially love that little garden shed.